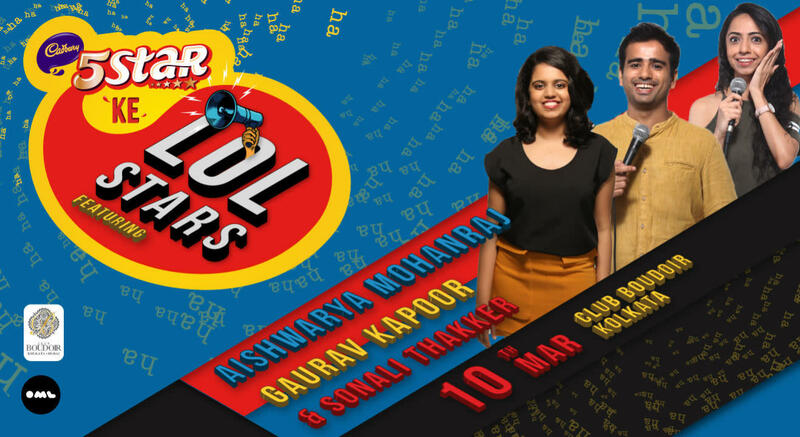 A LOLStars comedy night promises you an evening of the finest comics giving you new comedy, which is guaranteed to leave you red in the face and give your abs a good workout. You will see one of the top comics on tour, supported by a rising star who has recently brought comedy club audiences to its collective knees. There could be a few surprises in there as well! A journalist by qualification, Gaurav Kapoor is another by-product of the famous Bollywood Kapoor family. Just kidding. The comedian is a sweet Delhi boy who does what he is expected to – hold a respectable job (he has one in retail) and make people laugh when needed (his secret profession). His razor sharp wit and candid humor lead him to win almost every open-mic he has ever participated in (yes, he is that good), including the Big Mic, Canvas Laugh Club, Chalta Hai and Buzz Off. So good that he opened for the world famous comic Russell Brand on his Indian tour. His favorite topics to talk about on stage are Jaat culture, people who buy Royal Enfields and poverty (mostly his own), a variety that makes the Indian audiences fall in love with him. And with his recent spelling change (Kapur to Kapoor), he has got all the validation he needs, and is ready to take over the world. Aishwarya Mohanraj is a standup comedian and writer. Aishwarya was one of the top 10 contestants in Comicstaan and since then has written for shows like Son of Abish, Behti Naak and On Air with AIB. She has performed in various comedy venues such as Canvas Laugh Club and NCPA. Also, she can recite the alphabet backwards. You've seen her most recently seen in Amazon Prime Video's Comicstaan. Part-time stock-broker, a dance enthusiast and a full-time Gujju who performs comedy on the weekends, Sonali Thakker is an exciting new comedy talent in the town. Talking about grave topics like travelling, shopping and chaprigiri in her sets, Sonali's has performed on the biggest of stages including Canvas Laugh Club and NCPA. In 2017, she took her special 'Almost There' to stage across the country.